Meccaniche Veloci – synonymous with elegance and unmistakable style – introduces the Podium Nite Lite model, a precious version of the Quattro Valvole collection, for people found of extreme luxury. 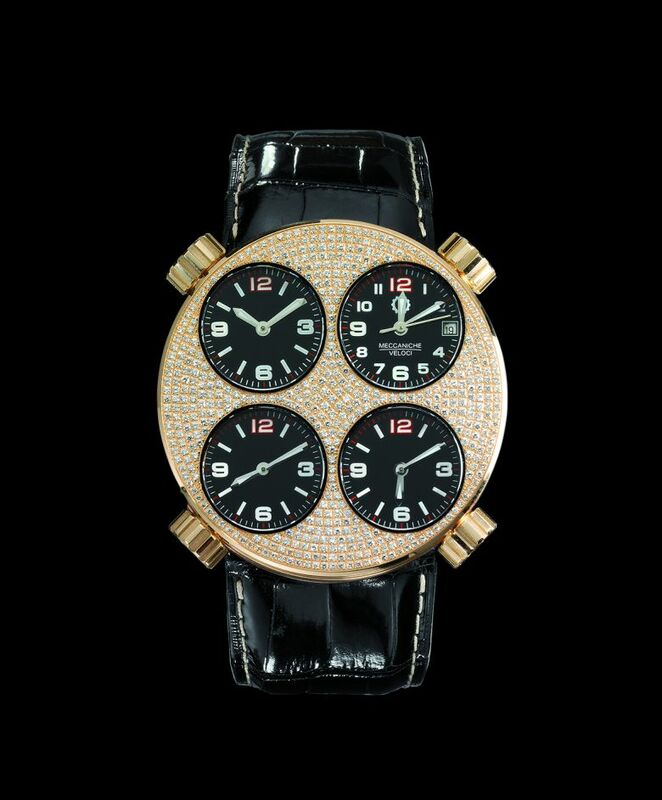 It is an exclusive timepiece designed to be noticed and admired. 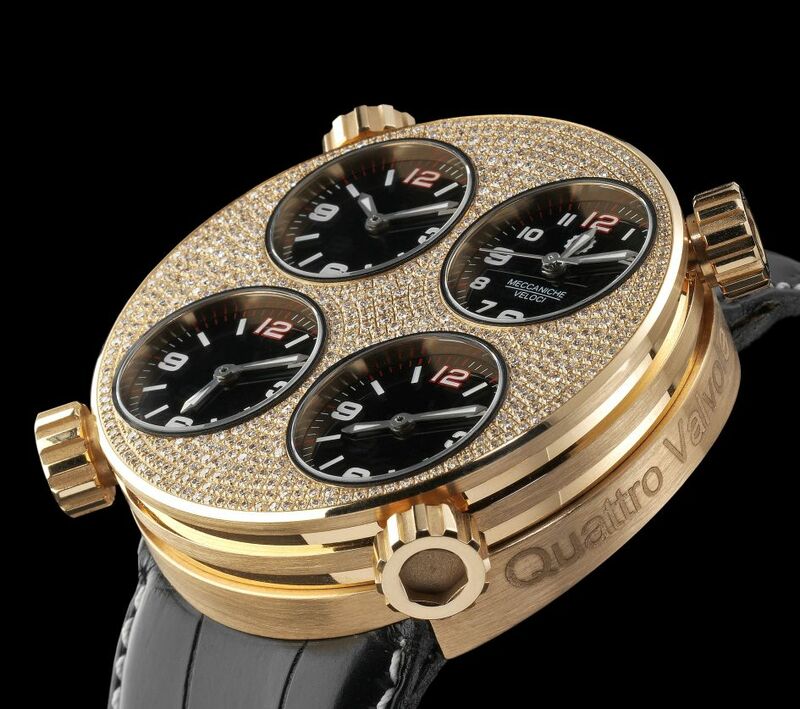 The 18-carat pink gold case, embellished whit diamonds (for an amount of 2,2 cts) is tooled from a solid piece according to the traditional manufacturing procedures of the Quattro Valvole and has a diameter of 48 mm. Inside the four dials, four Swiss automatic movements calibre ETA 2671 are set. The buckle and the crowns are also made of 18-carat pink gold. The four black lacquered dials and the alligator leather watchstrap make this wonderful object more precious, waterproof up to 5 atmospheres. Meccaniche Veloci has successfully created a watch with a unique style that perfectly combines the world of fine jewellery, determined by the materials used, with the world of engines, determined by the design and mechanical processes.